What is so special about the Sigden Way? Sigden ceiling TV mounts are unlike anything else on the market. Alternative ceiling TV mounts will only allow you to hang the screen high, but not to tilt it more than 15º. The innovative Sigden TV mounts have no practical tilt limit, with 90º – 5º stepless, precise adjustment done by shortening and lengthening the supplied steel string. Sigden offers different VESA compatible ceiling TV mounts optimised to support a variety of TV sizes. Sigden cares deeply about the quality of our products. As our ceiling TV mounts can be partly visible, they have to look perfect. 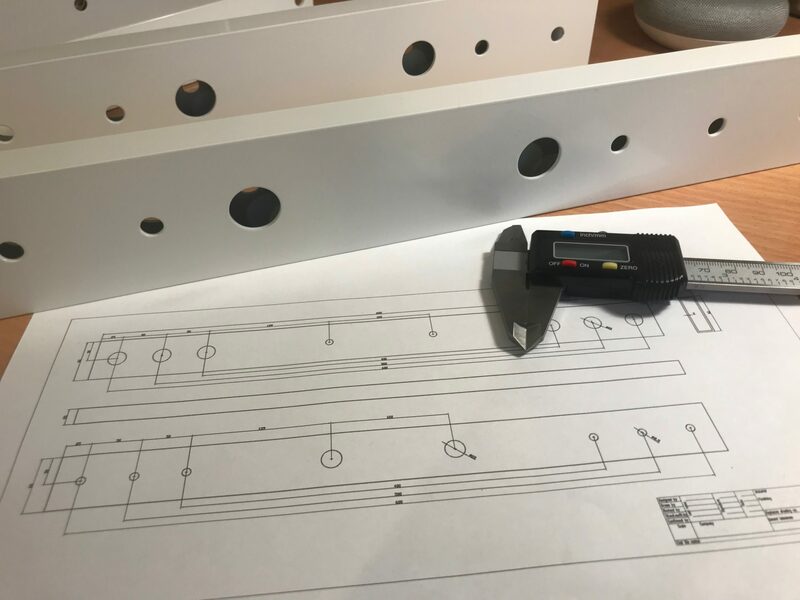 They are all CNC machined out of high quality aluminium profiles (6060-T66), which we paint in white (RAL 9003), so that their colour best blends with the standard ceiling colour. All accessories are also in matching white for an overall seamless look. For a particularly impressive set-up, a white body TV works best. It is worth to mention the extra benefits of Sigden ceiling TV mounts. The TV will be in an optimal distance from the viewer, which combined with a big screen will provide an almost cinematic experience in your bedroom. Moreover, there is now a freed-up space opposite the bed. You will appreciate the Sigden solution even more if you already have a standing wardrobe, dressing table, or a window/doors directly in front of your bed. Believe it or not, but even a 65 inch, deeply tilted TV installed high enough leaves plenty of space to walk underneath. Sigden ceiling TV mounts are designed with a big margin of safety. Our products are tested to support much bigger loads than a weight of a typical TV. It is also worth to mention that our way of installation puts your TV set completely out of reach of your children and pets. More science background behind our products you will find HERE.